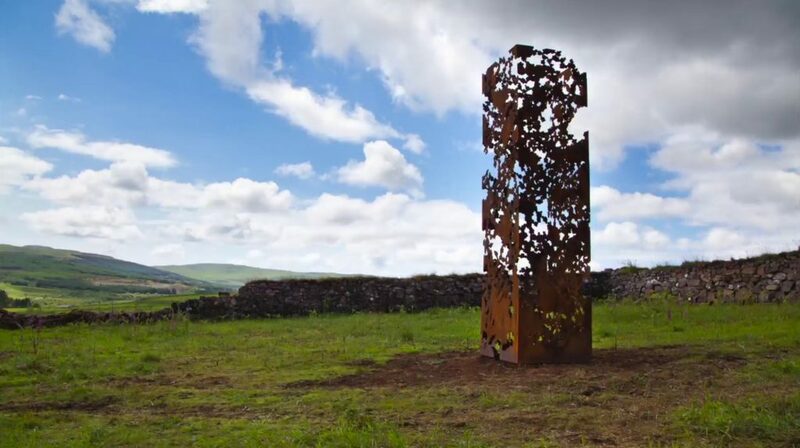 In 2015 I was commissioned by Comar, our local arts organisation to make a documentary film about the development of sculptural installation at an old fank in the forest at Lettermore. The art project was originally a commission to the late, much missed Emma Herman Smith. Emma’s friend Andrea Geile took over the commission and created a beautiful sculpture out of Corten-steel that stands proud on-site to this day. The aim of the Fank project was to engage with the community, drawing them into the fank space to use it for all sorts of activities.